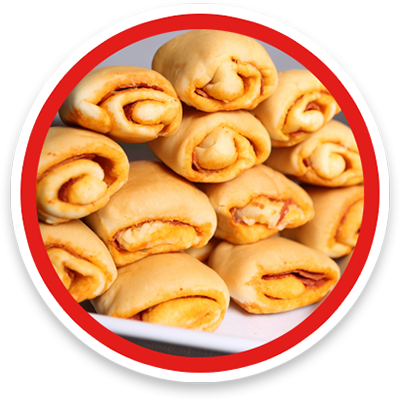 Our pepperoni rolls are the perfect snack for those on-the-go, school lunches, sport events or for those that just love simplicity. Did you know? Our pepperoni rolls are available at various consession stands across the Ohio Valley, and growing! Visit our Order page for more information! There’s nothing like a slice of our freshly baked holiday rolls to start your morning off right! Our holiday rolls are a 17 oz. package of irresistable goodness. 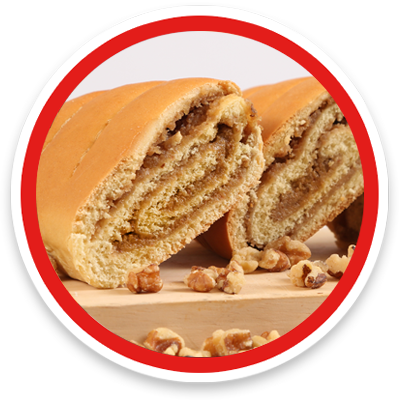 Nut rolls are great for the holidays, but we have such a demand for them that we bake them all year round! Be sure to pick up one today. We are currently working toward SQF certification. 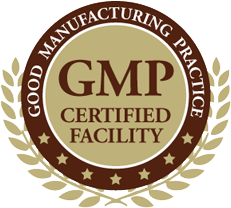 We work with a food safety consultant who completes monthly internal audits which include inspecting our facility and monitoring our food handling practices and good manufacturing procedures on a monthly basis. For more information on our safety precedures and awards, visit the Safety page! Welcome to Barney’s Bakery! We are a family owned and operated bakery located in Weirton, West Virginia. We take pride in our freshly made Pepperoni Rolls and Nut Rolls and believe consistency in our products is key. Our products are available through our Direct Store Delivery in various grocery stores, warehouse clubs, convenience stores and gas station in West Virginia, Pennsylvania and Ohio. Visit our Retailers page to see if our products are sold near you! We also ship to customers outside of our delivery area which includes shipping frozen to supermarkets, gas stations, warehouse clubs and distributors. What’s a Pepperoni Roll, Anyway? The pepperoni roll is a popular snack in West Virginia and in some nearby regions of the Appalachian Mountains. The pepperoni roll consists of a soft white yeast bread roll with pepperoni baked in the middle. The pepperoni roll was first sold by a bakery in Fairmont, West Virginia, in 1927. The rolls originated as a convenient lunch for the coal miners of north-central West Virginia in the first half of the 20th century. We take pride in having the most modern facility in the state of West Virginia. We are continually investing back into the business in order to provide our customers with the highest quality products. Copyright © 2019 Barney's Bakery. All Rights Reserved.